Democracy’s success depends not only on the ability of formal institutions to respond to the legitimate demands and rights of its citizens. It also depends on how these citizens are able to enter the political realm in order to claim their rights. Exclusion from formal political structures has deep-reaching consequences and is reflected on the built environment as well. In most cases, informal urbanisation is be the physical expression of the absence of rights and deficiencies in the rule of law. In this sense, informal urbanisation is not a pragmatic solution for the lack of formal housing in developing countries, but the sign of non-inclusive and dysfunctional political systems. Informality can be seen as the expression of exclusion from the rule of law and the protection it offers to citizens. It tells us citizenship is not equally accessible to all, but is often limited by race, religion caste, origin, language and other characteristics that set apart some groups from the dominant ones. Urban informality expresses all sorts of distortions in the relationships between citizens and political power. However, these forms of exclusion in the realm of housing can also stir up the political awakening of the urban poor. Vibrant socio-political movements originating in informal settlements in cities of the Global South are sometimes rather effective in demanding their rights, forcing governments to improve the livelihood of citizens. Urban informality can thus become a vehicle for social, economical and political emancipation and lead to the democratisation of governmental institutions. 3. To provide teachers and students in different socio-political contexts with a handbook on issues of informal urbanisation, as we believe not enough attention is being given to this problem in planning schools. It is urgent that schools all over the world discuss informal urbanisation connected to a broad understanding of processes of urbanisation, democracy, spatial justice, sustainability and the struggle for rights. Favela Paraisópolis. São Paulo, 2013. Democracy’s success depends not only on the ability of formal institutions to respond to the legitimate demands and rights of its citizens. It also depends on how these citizens are able to enter the political realm in order to claim their rights. In this sense, informal urbanisation is not a solution for lack of housing in developing countries, but the sign of non-inclusive political systems. Alternatively, informal urbanisation can be seen as a step towards the formulation of legitimate demands and may lead to the full enactment of citizen’s rights in the realm of politics. When disenfranchised rural immigrants arrive in the city, they must struggle for a place to live. In doing so, they have the opportunity to formulate legitimate demands and to start the long road towards full citizenship. If viewed positively, processes of informal urbanisation can ultimately lead to an affirmation of civil and social rights, to the reinforcement of the rule of law, to the inclusion of citizens in formal institutions and processes. But this road is not without accidents. The struggle for civil rights can be marked by initial exclusion, oppression and violence. This book investigates the mutual relationship between the struggle for political inclusion and processes of informal urbanisation in different socio-political and cultural settings. It tries to find a middle ground between two opposing perspectives on the political meaning of urban informality. The first, the ‘emancipatory perspective’, frames urban informality as a practice that fosters autonomy, entrepreneurship and social mobility (Turner, 1968, Soto et al., 2009, Soto and Instituto Libertad y Democracia (Lima Peru), 1989). The other perspective, more critical, sees informality predominantly as a result of political exclusion, inequality and poverty (Roy and Alsayyad, 2004, Caldeira, 2000, Holston, 2009). Do we see urban informality as a fertile breeding ground for bottom-up democracy and more political participation? Or is urban informality indeed merely the result of a democratic deficit caused by governing autocratic elites and ineffective bureaucracies? Defenders of the first position are often anxious to victimise the urban poor, because they want to highlight their legitimate struggle, industriousness and entrepreneurship. In doing so, they expect to convince authorities to let the poor take their housing problems into their own hands and literally ‘help themselves’. But by predominantly focussing on the positive aspects of urban informality, they loose their critical stance. Their position easily leads to the romanticizing of poverty. On the other hand, academics, activists and politicians who qualify urban informality mainly as a grave injustice often neglect the legitimate struggles of informal settlers, their ingenuity and perseverance to construct housing with very little resources. Their well-justified indignation can easily lead to paternalism. Over the past decades, the discourse on urban informality has moved between the pitfalls of paternalism on one side of the spectrum to the romanticizing of informality on the other. Very often, there is a fundamental confusion between the right to help oneself and the legitimate claim for one’s rights to be assisted by the State. The framework of inclusion into the political realm and democratization provides the opportunity to avoid unrealistic stereotypes such as ‘the heroic self-help pioneer’ or the ‘vulnerable slum dweller’ and paves the way to understand residents of informal settlements as citizens with rights and duties, struggling to be included in legitimate forms of political representation and participation. Dressing residents of informal settlements with the cloak of citizenship gives them both the protection and dignity to enter the public realm. It also gives them legal instruments to claim their rights, despite of their poverty. The struggle for better housing could then also lead to political empowerment and integration into formal democratic institutions. This idea has been extensively explored by James Holston (Holston, 2009) and Teresa Caldeira (Caldeira and Holston, 2008, Caldeira, 2000). This book builds up on that theoretical framework. This book wants to display a wide variety of political practices and narratives around these positions based on narratives conceived upon specific case cities. We want to investigate how processes of urbanisation are politicized in countries in the Global South and in transition economies. It explores examples from São Paulo, Mumbai, Lagos, Cairo and many other large and middle-sized cities in the global south, as well as examples from Eastern and Southern Europe, East Asia and the Americas, in articles written by local scholars who offer unique insight on how informal urbanisation can be interpreted in different contexts. The extreme urban environments under scrutiny are likely to be the new laboratories of 21st century democracy. There has been renewed interest in informal urbanisation among urban designers and planners in the last decades. In their contributions to the discourse, we often find an overvaluation of informality’s positive aspects based on the entrepreneurship and the ‘freedom’ of informal dwellers to seek for solutions for their basic needs, without the heavy saddle of the State. The underlying argument is that, since many governments seem unwilling or unable to provide proper housing to the millions migrating to cities in the global south every year, citizens ought to take the problem in their own hands. 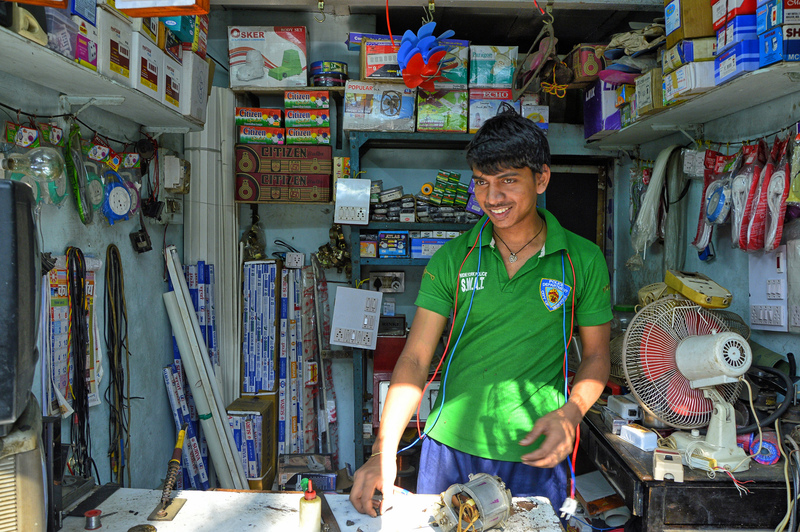 Informal settlements are also seen as sources of empowerment and nests of entrepreneurship. These are not new ideas. Their origins can be traced back to John Turner’s writing in the 1960s about Lima’s barriadas (Turner, 1963, 1968). According to some contemporary urban designers and planners, governments should ‘learn’ from informal settlements, as they represent a more authentic, ‘honest’ and politically desirable form of urban development, with intrinsic formal qualities that should be emulated. 2. Sufficient living space, which means not more than three people sharing the same room. All these aspects relate to basic rights, as defined by the UN (shelter, living space, access to water and sanitation and safety against injustice) and are connected to public goods that are normally created or maintained by collective undertakings led by local governments. They are positive rights, which presumes an active role of governments in providing them. In other words, governments have a big role in creating and keeping public goods through instruments like spatial planning, for instance, but they are failing to do so for millions of impoverished citizens in Third World cities. To the long list of insufficiencies we find in informal settlements and in slums in particular, we could add issues of disempowerment, racial segregation and many other issues contained in Peter Marcuse’s description of ghettos (Marcuse, 1997). Marcuse describes ghettos as ‘the result of the involuntary spatial segregation of a group that stands in a subordinate political and social relationship to its surrounding society’. In this book, we assume Marcuse’s definition of ghettos as essentially correct and applicable to most informal settlements in South America and Africa, albeit not necessarily to informal settlements in the Middle-East and East Asia (Roy and Alsayyad, 2004). In our view, these issues are closely related to theories of justice and rights in urban development and specially connected to notions of democracy, citizenship and power in cities around the world. In other words, urban informality has a political meaning. The main subjects of this book are the political significance of informal urbanisation and its role in how democratisation processes and the struggle for rights are enacted in different parts of the world. We have challenged the viewpoint that sees informal urbanisation simply as a solution for housing problems in the developing world with two articles in which we defend the idea that informal urbanisation is the spatial expression of an absent State at best or the spatial expression of an oppressive State at worse (Ballegooijen and Rocco, 2013). 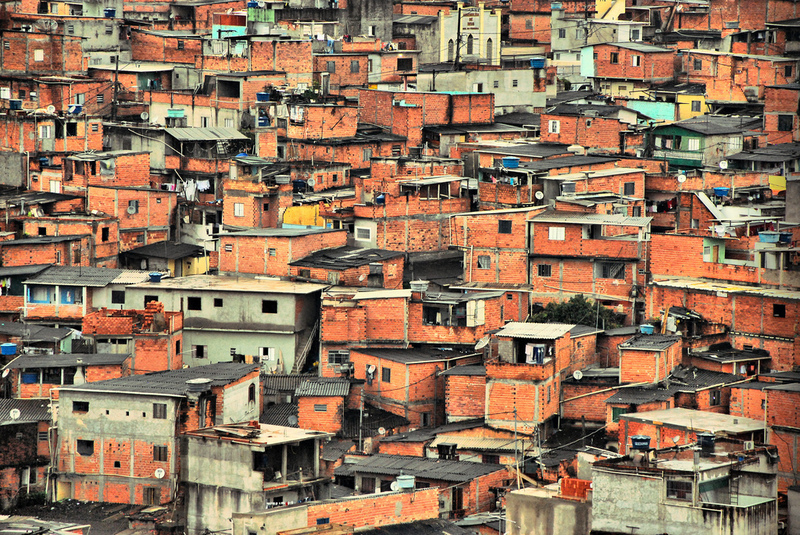 In our view, although informal urbanisation may represent a legitimate attempt by disempowered citizens to gain access to increased life-chances to be found in cities in the form of larger job markets, educational opportunities and medical care, they cannot be seen as a legitimate strategy to quench the housing deficit in the developing world. If substantial numbers of urban citizens are excluded from the advantages of the legal and institutional framework in a democratic state, the legitimacy of that state will decrease. This exclusion does not mean that citizens in informal settlements live in some sort of ‘splendid isolation’, free from oppression and immune to external forces of the state and the market, on the contrary. Informal urbanisation is a sign of the inability or unwillingness of states to include citizens in legal institutions. Citizens inhabiting the informal city are often disempowered because they are subjects to one dimension of the rule of law: its restricting and exclusionary character. The rule of law often acts as a system that prevents upward social mobility rather than reinforcing the social and political status of the disempowered. However, it is possible to conceive that informal dwellers are seeking to be included in formal forms of political representation, employment and action, which would likely trigger political struggles leading to processes of formalisation. The question of informal urbanisation is therefore a highly political one. Do informal dwellers have the same rights of those living under the protection of legal systems? How are they represented within local and national bodies of government? As spaces of exception and illegality, are informal settlements a threat to 21st century democracy in the global south or an opportunity for more participation and grassroots organisation? These are very urgent geopolitical questions that need to be investigated. Answers to these questions are likely to be distinctive in different parts of the world. We have analysed the Brazilian case in detail and have concluded that the informal urbanisation of the peripheries of great Brazilian cities, and especially of the city of São Paulo, is closely tied to a plea for the expansion of civil rights and the emancipation of the working classes during the second half of the twentieth century in Brazil. This process of political emancipation of the urban poor emerged from a long history of exclusion and neglect. What is fascinating about the Brazilian case is that this emancipation coincided with an on-going process of democratization emerging from the resistance against the country’s military dictatorship that lasted from 1964 until 1985. 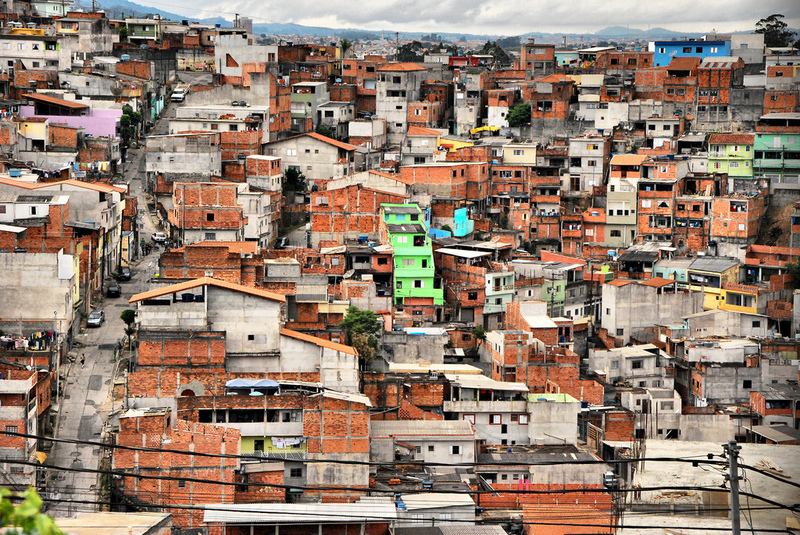 People from the poor peripheries of Brazil’s major cities realized that the democratization of governmental institutions would offer chances to improve living conditions in there neighbourhoods. We are aware, however, that this interpretation is necessarily tied to the political reality of a single country. Brazil is not without its problems, but there is a relatively well-functioning democracy in the country, supported by a progressive federal constitution, functioning if flawed institutions, and the prevalence of the rule of law. Other authors, notably Roy and Alsayyad (2004) have explored alternative interpretations of informal urbanisation and have concluded that informality has different meanings in different contexts. Several questions remain: what about places where democracy is still young and formal institutions do not function well? What about informal urbanisation in corrupt and inefficient albeit young democratic states? Does informality have the same role then? Does informal urbanisation represent some sort of empowerment for the poor in those circumstances? Does it open doors for increased life-chances? Are citizens around the world struggling for positive rights or do they only really want to be “left alone”? Finally, is there any role for informal urbanisation in places where the rule of law prevails and citizens have access to positive rights? Will people still want to engage in informally building their own dwellings when they are included in formal well-functioning democratic institutions? We believe that the success of many young democracies in the global south depends substantially on how they are able to create cities in which both the negative and positive rights of citizens are upheld. Since many of these countries are also facing mushrooming urban growth, now taking place mostly informally, the question of what the effect of informal urbanisation is at a political level becomes very relevant. Does urban informality discredit democratic governments or does it strengthen participation and the formation of political and social movements? And if so, what is the physical outcome in terms of formal planning measures, slum-upgrading and construction of urban facilities such as healthcare clinics, schools, green spaces, basic infrastructure and public transport? With this book, we intend to advance the discussion and present further alternative interpretations of the role and the meaning of informal urbanisation in selected case studies, within a framework of analysis based on a theory of positive rights (Halper, 2003 and others), justice and ‘right to the city’ (Fainstein, 2010, Carmon and Fainstein, 2013, Harvey, 2008, Harvey, 2012), with the aim to explain and criticise existing planning frameworks and tools and their capacity to deliver positive change. We will invite contributors to reflect on the political meaning of informal urbanisation in the struggle for positive and negative rights and develop their critique having concepts of justice proposed by Fainstein (Fainstein et al., 2012, Fainstein, 2010, Carmon and Fainstein, 2013) as a critical analytical framework in order to build up knowledge towards real tools and frameworks for intervention.